The latest app to come out of Cleveland is a socially conscious "Uber for home cooks and chefs"
Tonya Kinlow and her husband, chef Craig Stevens, never intended to start an app or a mindful eating movement—they just wanted to open a restaurant. But as they got deeper into the planning process, their values pointed them in an entirely different direction. "The thinking of the concept became [about being] family-friendly, community-based, eating well, and local food," says Kinlow. "So I took the leap, [asking] 'How can we make this exponential and not just one brick-and-mortar [restaurant]? How can everyone feed everyone?' Since we're thinking big, let's think really big." 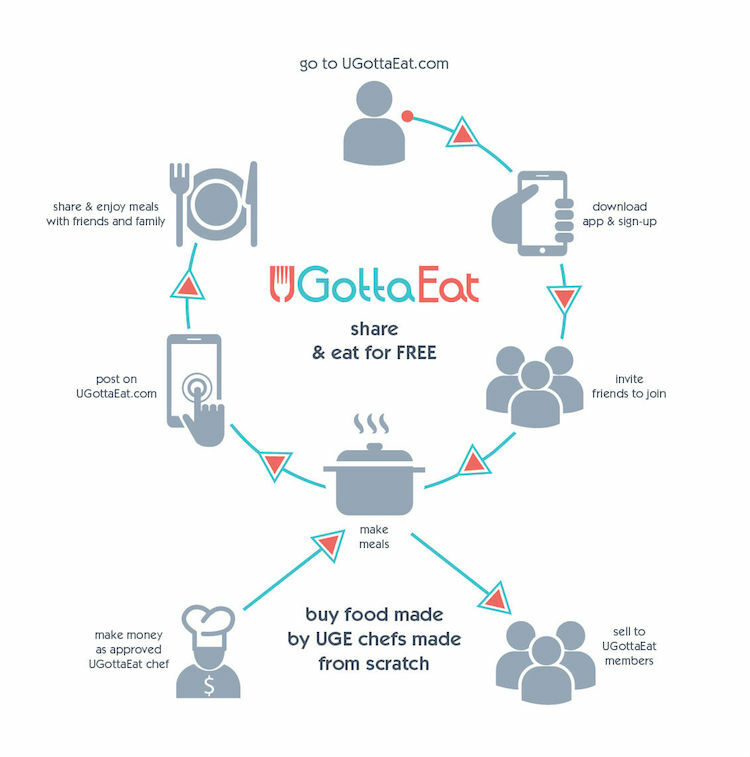 The result is UGottaEat, an app that acts as a social network where users can share home-cooked meals and obtain freshly made meals from local chefs. It took Kinlow about a year and a half to get to the November launch, and along the way, she says she got invaluable aid from Cleveland incubator JumpStart and the Women’s Business Center. Using the app is relatively simple: after downloading, users can invite friends and family to join their circle, then "share or shop" as needed. For the former, users can post whenever they have extra food for others to pick up, and for the latter, hungry users can log on to see who's sharing meals. Kinlow says it also helps people avoid the fast food trap: “It’s enabling people to get homemade food, and to get it quicker." Reducing waste is also central to the mission of UGottaEat. According to Feeding America, the United States wastes nearly 70 billion pounds of food each year, and Kinlow hopes her app will help shrink those numbers. “We’re getting people that, instead of throwing their food away, that they’re actually sharing with their friends and family,” she says. After all, U Gotta Eat.